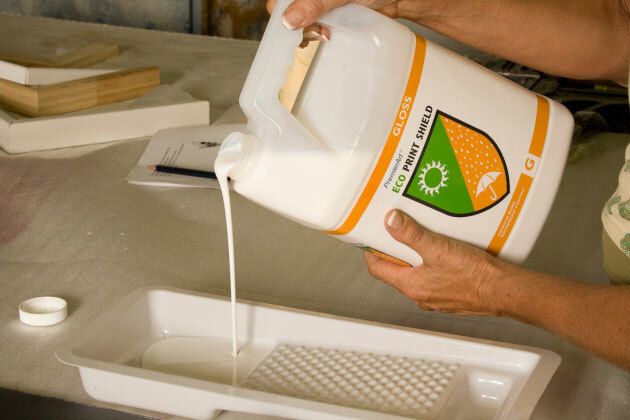 *Tip Since Eco Print Shield is a water based product dilution will be dependent on your relative humidity and room temperature. 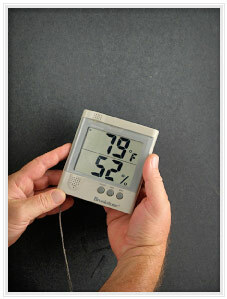 The lower the humidity the more you will need to dilute it to a maximum of 20%. Most conditions do not require dilution, but if you have any quality control issues, dilution is the solution. Best results are obtained using a high-density foam roller. 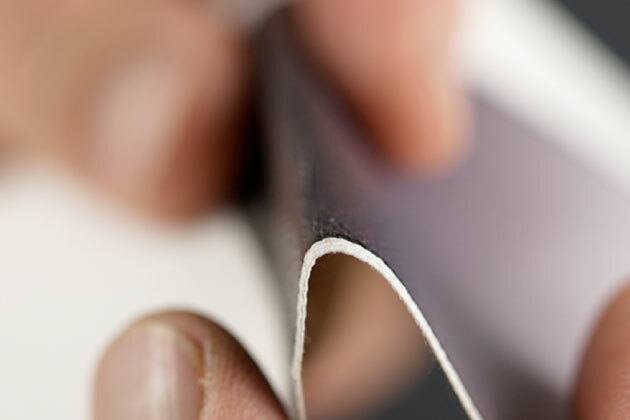 Avoid excess pressure when rolling. Use only the weight of the roller. 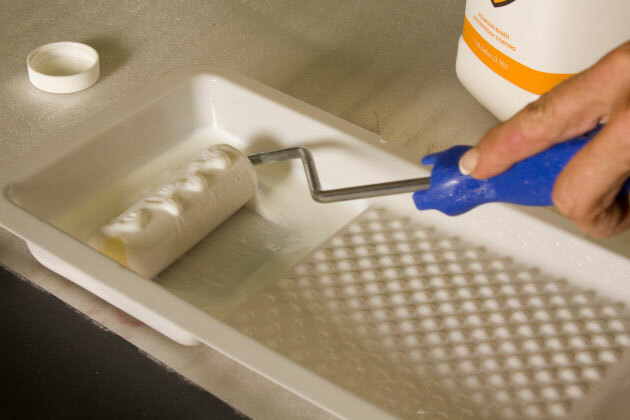 Tip: Have a second roller, dampened with water, to smooth out and remove excess coating as needed. 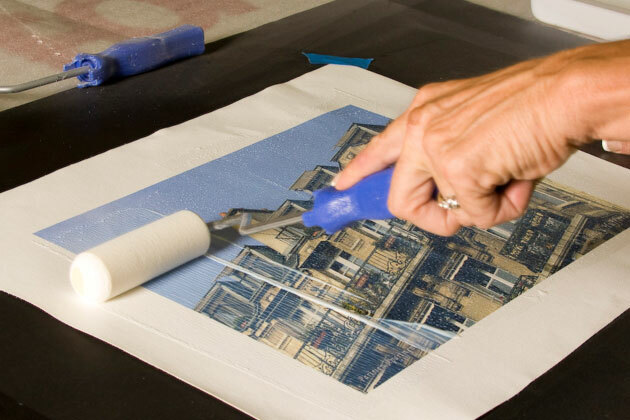 Apply a light coat to make sure surface of print is covered thoroughly. 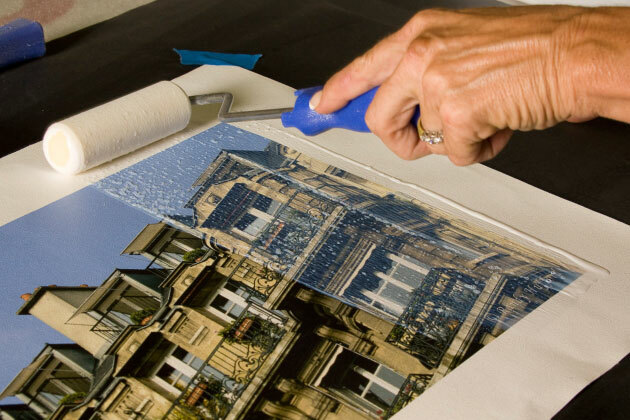 Using a damp roller, gently roll out bubbles and overlapping ridges, and remove excess coating maintaining an even, slightly translucent appearance and avoiding a solid white opaque. 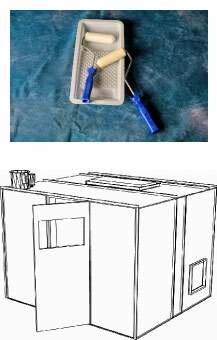 Allow to dry completely, when coating becomes clear Note: Higher humidity will take longer. 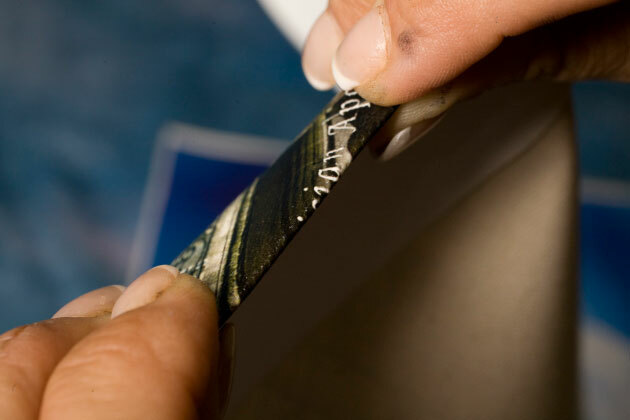 Second and third coats can be applied when coating becomes clear, using the same techniques as the first coat. 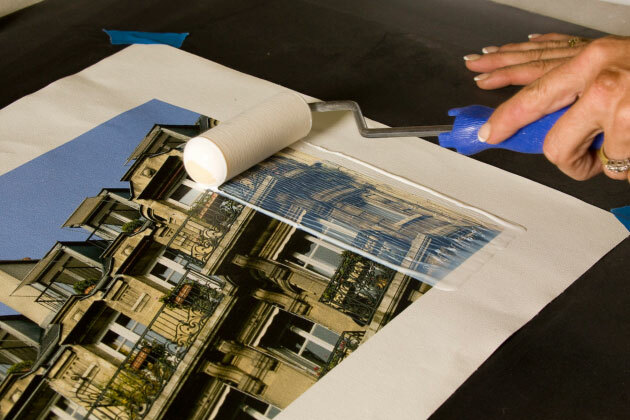 Some applications may require a aditional coat, especially if the print will be exposed to a high humidity and/or a high light environment or lots of handling In this case, repeat the first coat steps. 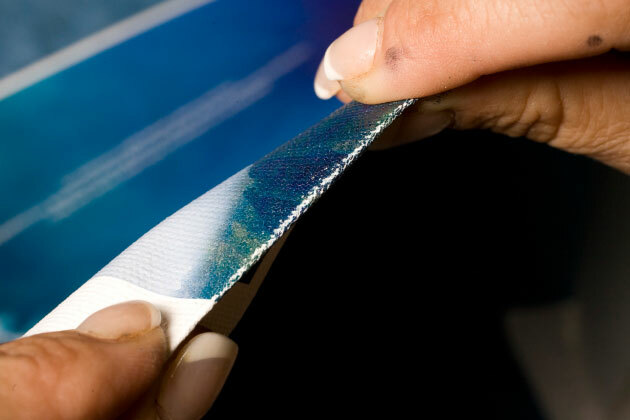 Use Fold Test to determine if thickness of your coating is acceptable.